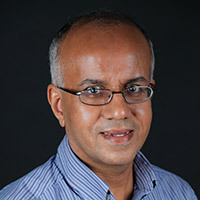 Leadership | BASE Consultants, Inc.
Saila has twenty years of experience in structural engineering covering various phases of project development, structural analysis, design, design coordination, project management and construction administration. She is a registered professional engineer in Florida and a LEED Accredited Professional familiar with the green building design and rating requirements. 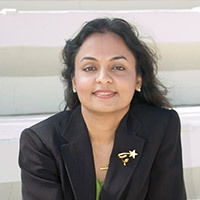 Saila received her Bachelor of Technology in Civil Engineering from University of Calicut, India and Master of Sciences in Structures and Foundations from the University of Central Florida. She is a member of several professional engineering organizations. Saila’s key strengths and expertise include design and design coordination of airside and landside structures for airports, knowledge and understanding of the design nuances required by sports arenas, stadiums and other recreational venues, as well as convention centers and hotels, project coordination skills that account for the specific needs of theme parks and other large entertainment facilities, and design and construction specifications for municipal and educational institutions, judicial and correctional facilities, and multistory office and residential towers. Wendy has sixteen years of experience in structural engineering covering various phases of project development, structural analysis, design, design coordination, project management and construction administration. Wendy received her Bachelor’s Degree in Civil Engineering from Florida State University and a Master of Engineering Structures from the University of Florida. Wendy’s key strengths and expertise include extensive job site and field visit experience, well-versed with requirements and demands of pedestrian bridges that carry a significant number of people at once, administration and project management capabilities that allow key elements of the project to remain functional and open while the work is performed, and comprehensive knowledge and understanding of structural systems for state-of-the-art healthcare facilities that allow for vibration control and protection of sensitive medical equipment. Laura has thirteen years of experience in structural engineering and parking consulting. 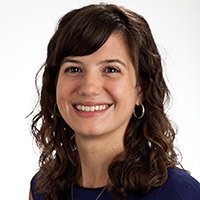 Her areas of expertise include structural analysis, design, project management, and construction administration, as well as parking functional design, equipment specifications, wayfinding and signage, and financial feasibility of parking projects. 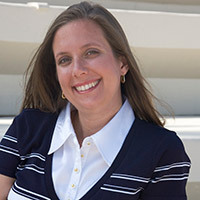 Laura received her Bachelor’s and Master’s Degrees in Civil and Environmental Engineering from the Georgia Institute of Technology (Georgia Tech) and her MBA from the Crummer Graduate School at Rollins College. Laura’s key strengths and expertise include in depth knowledge of structural systems for parking facilities that allow for flexibility in functional design, initial construction savings and long term durability, project management skills that allow for coordination of large team effort of sub consultants to deliver quality design solutions that meet budget and schedule, understanding of dynamics of parking studies in areas of supply and demand, allocation, and operational use for public parking in the areas of hospital, retail and municipal facilities, and technology solutions for collection of revenue and violation enforcement for large municipal operations. Ram has 30 years of experience in the fields of highway and transit structures. His experience includes structural concept studies; bridge development reports; analysis, design, and detailing of steel, reinforced concrete, and prestressed concrete structures; segmental bridge design; repair and rehabilitation of existing structures; and value engineering studies. 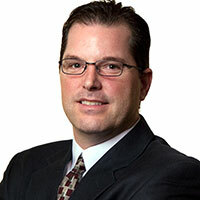 Ken has over 22 years of design, project management and construction administration experience in the areas of transportation and building structures. His experience includes analysis and design of steel, reinforced concrete, prestressed concrete, post-tensioned concrete, masonry and timber structures. His projects include steel, prestressed concrete and post-tensioned concrete bridges, toll facilities, retaining wall systems, miscellaneous highway structures, airports, stadiums, convention centers, fire stations, parking garages and entertainment, educational, commercial, recreational and healthcare facilities.